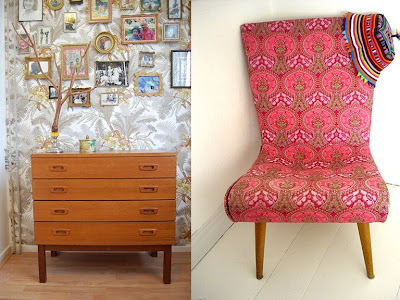 Funky wallpaper from ATLITW; a great pink chair from MissKittyKat. I'm sorry there's no Unexpected Guests post today, but I'm in the process of gathering a bunch of new guests that I think you'll love! 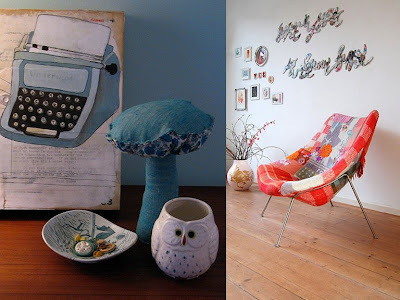 So today's inspiring rooms, nooks and crannies come courtesy of a few of the flickr groups I frequently peruse, such as Corners of My Home, Eclectic Interiors, and Jeu de Paume Inspired. Whenever I feeling a little lack luster in the design department, I take a gander through these great flickr pool's and find instant inspiration! and fun decorative hallway from dayataglance. 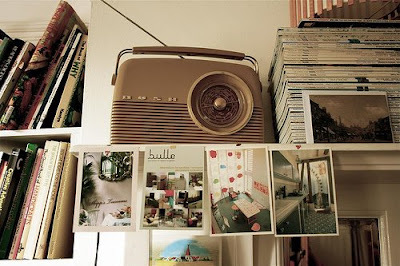 Funky vintage radio from Angeliki Fanarioti. 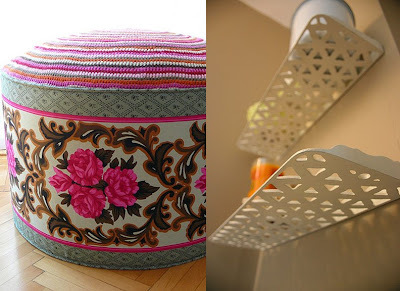 and brilliantly repurposed iron steps made in shelves from texturejunky. 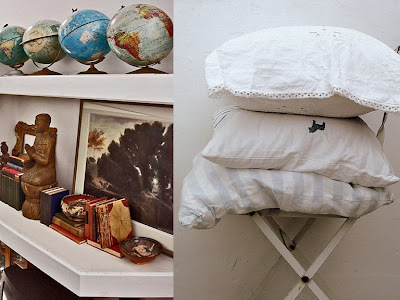 Globe collection from amyla174; and hand-sewn pretty pillows from citipix. Great vignette from decor8; and beautiful Pierre Paulin chair from ATLITW. 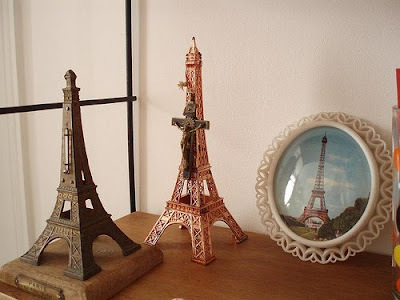 Eiffel Tower collection from Paris-based thrifting girl. 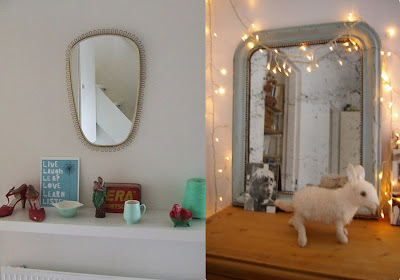 Pretty mirrors from ninainvorm; and Mlle Rosalie. 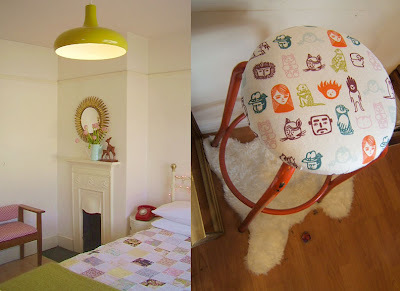 Pretty patchwork from homebug; and refurbished found stool from very lame. I actually sighed aloud when I saw the Eiffel Tower statues. I love love love those. Thanks for sharing. I may just have to take those images and make them my desktop at work. 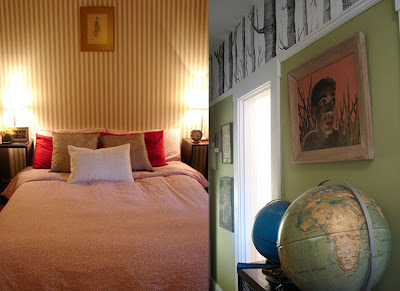 i love homebug's yellow bedroom lamp! I have a similar dresser from my Grandmother. I've loved it for years and was thrilled when she said I could have it! thank you very much..i'm very pleased..